Price depends on service details and 4 hour minimums apply for all reservations. Sea to Summit Ski & Mt Shuttle Service is fully insured, licensed and permitted by the City and State of Portland, Oregon and Portland International Airport. 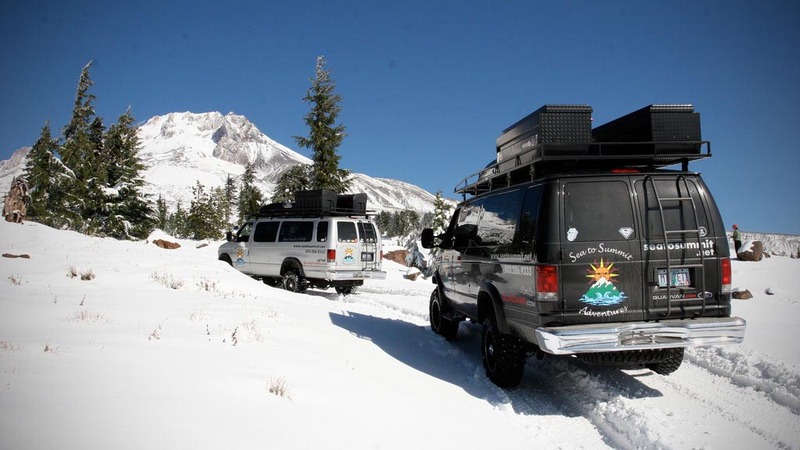 Sea to Summit operates custom equipped vehicles with extensive rack systems for gear, studded snow tires and the best 4×4 conversions on the market…These vehicles are designed for the mountains winter driving conditions! Sea to Summit’s shuttles are comfortable, convenient and no matter what weather conditions prevail, our specialized vehicles and experienced guides will safely get you to your winter destination!